The Cloak Tuck 3.0 IWB holster is protected by Patent # US 9, 301, 595 B2. NOTE: Revolver shells have a universal bolt pattern that is different from our Semi-Automatic holsters and shells. Alien Gear Holsters' Cloak Tuck 3.0 IWB holster is the most comfortable concealed carry holster on the planet. Any planet. 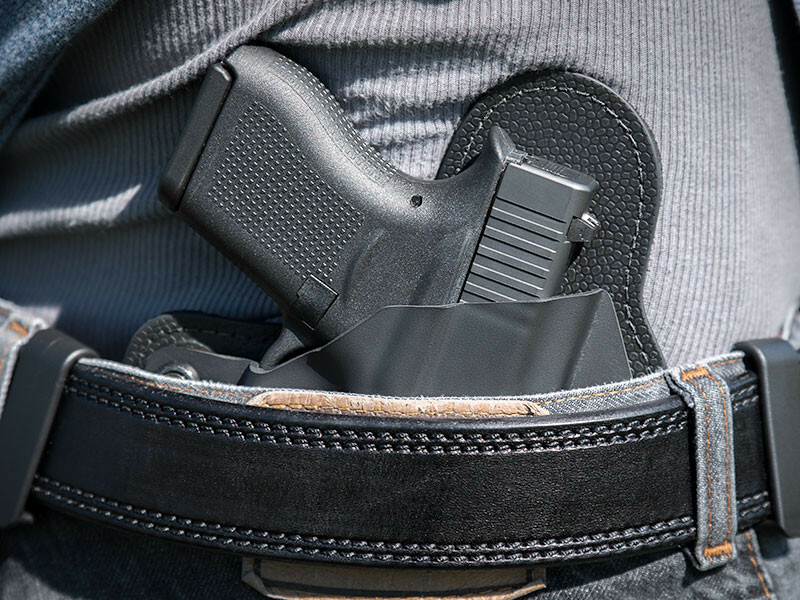 This inside the waistband holster, now available for both semi-automatics and revolvers, is the next evolution within the Cloak Tuck Series, providing concealed carriers with improved retention, enhanced flexibility and superior comfort. IWB concealed carry holsters have never felt this good. Engineers at Alien Gear Holsters have added an ultra-strong stainless spring-steel core into the Cloak Tuck 3.0. 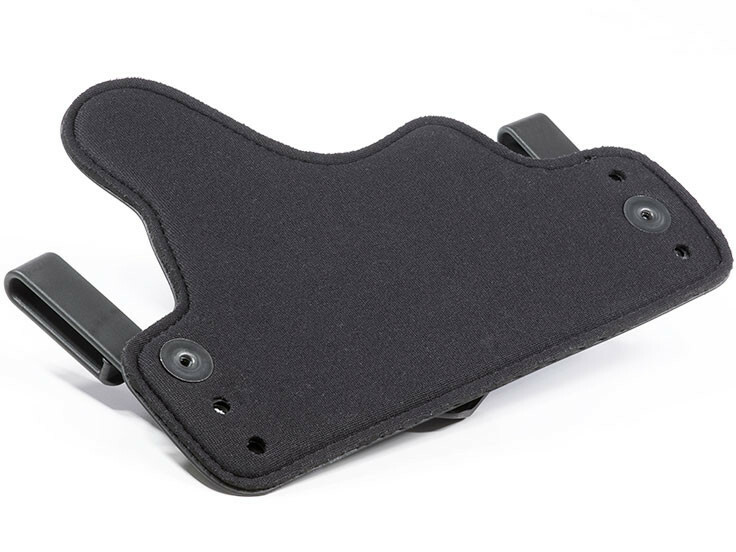 This advanced holster material delivers more retention and durability to this holster base, allowing for years of hard use without breakage. 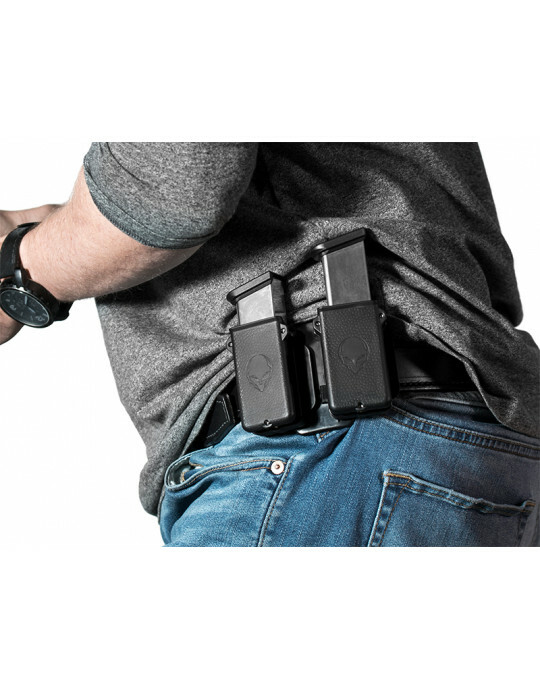 This, coupled with a new layer of ballistic nylon, provides more strength and support to the Cloak Tuck 3.0 inside the waistband holster. We have also evolved our surface material into an engineered thermo-elastomer 'Alien Skin' texture, which enhances holster retention, drag and durability. To enhance the comfort of this inside the waistband handgun holster, we have minimized the hardware by adding more neoprene to the Cloak Tuck 3.0. This ultra-soft material will form to your side, while dispersing the weight of your pistol across the entire concealed carry holster base. The flexible 'holster wings' will also mold perfectly to your side. 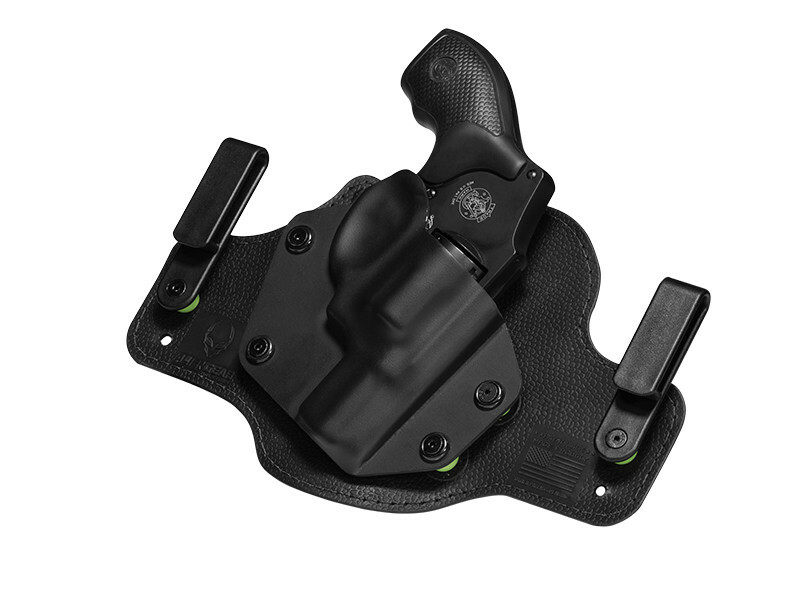 To customize your holster comfort, we have made it easy for you to adjust your Cloak Tuck 3.0's cant (angle) and ride height by simply relocating the holster clips provided. Our engineers have also made it possible for you to customize the holster retention to your gun with the turn of a few screws. All holster shells within the Cloak Tuck Series are fully swappable. 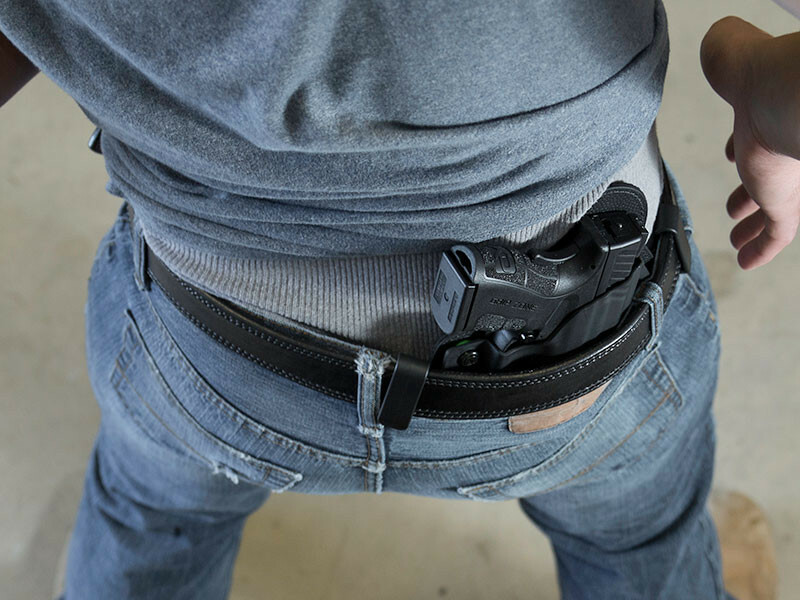 Our Cloak Tuck 3.0 inside the waistband holster is backed by an Iron-Clad Triple Guarantee. This includes a 30-Day Test Drive, free shell trades for life, and a Forever Warranty. If anything on your holster breaks for any reason, Alien Gear Holsters will repair or replace it for free. The award-winning Cloak Tuck 3.0 IWB Holster is now protected by an official United States patent. 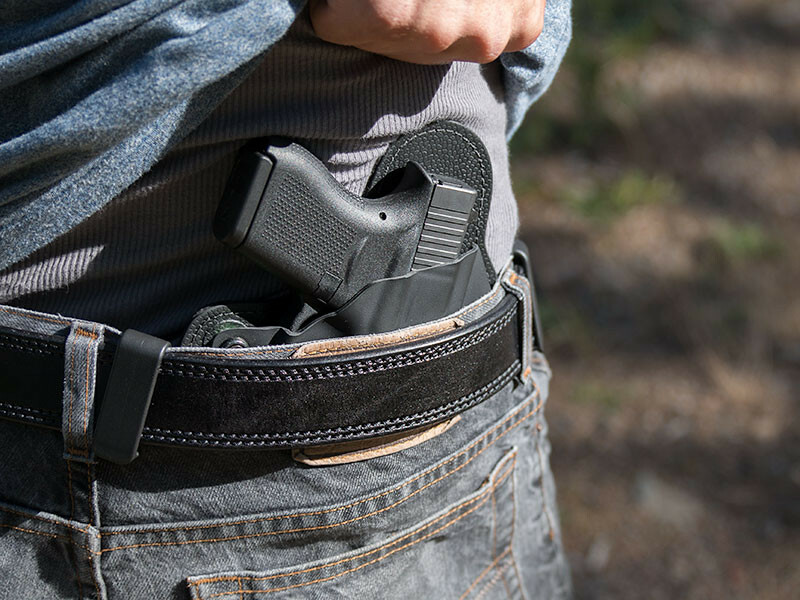 This comfortable and concealable inside the waistband gun holster earned its official patent by utilizing an original steel core insert within a multi-layered design. As of April 5, 2016, patent # US 9,301,595 B2 protects the “multi-layered holster,” which includes the usage of the supportive and innovative spring-steel core.